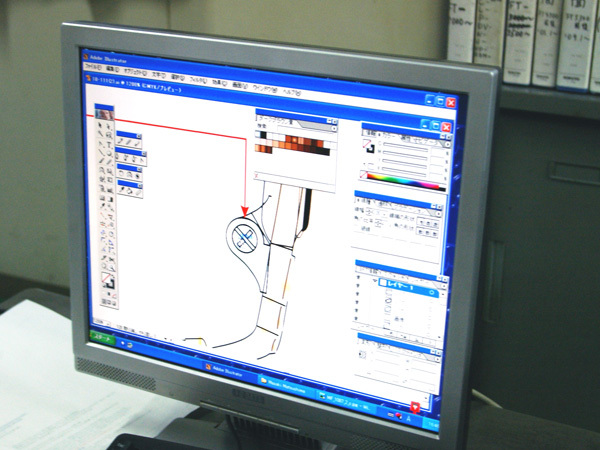 Introduced with the help of a consultant more than ten years ago, it consists on a smooth line production system. 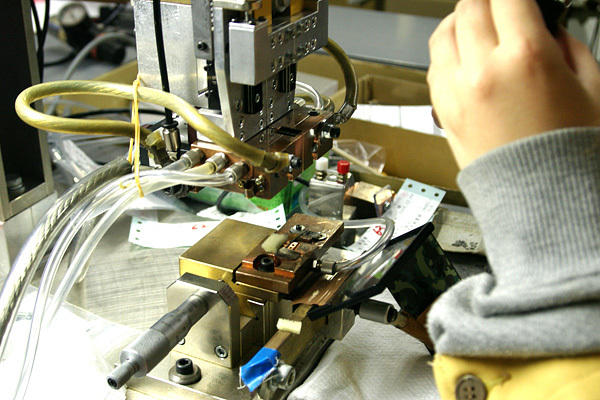 Its objective is the production of more types of products, in smaller lots , within shorter terms. 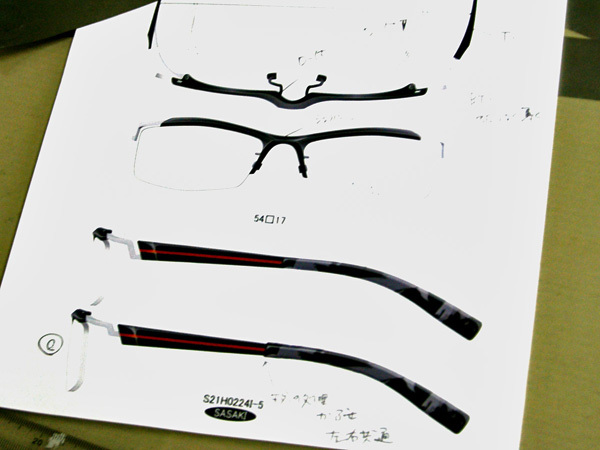 By hand or using Graphic Softs, we make the drawing for the production, without detracting the concept of the designer. 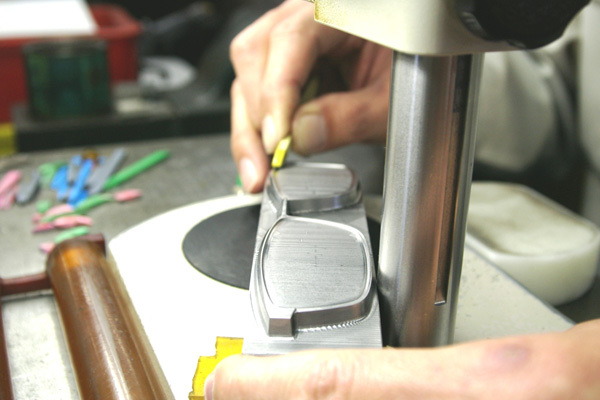 We check if there are flaws based on the data. 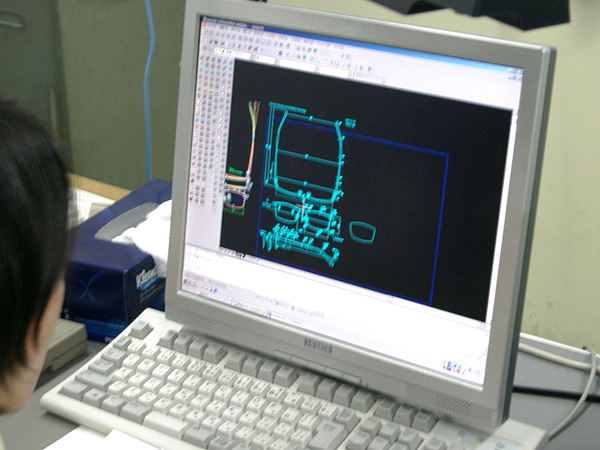 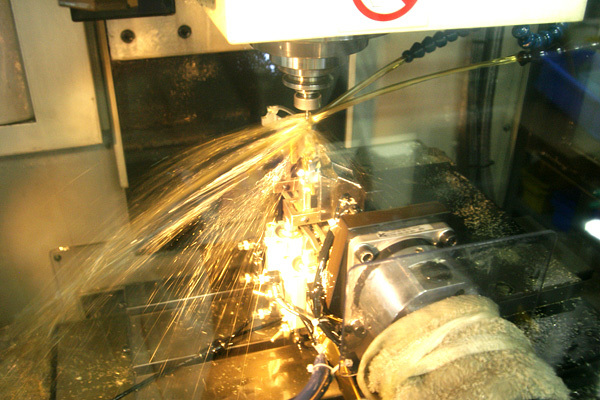 Using production drawings and CAD data, we make the molds in the Machining Center. 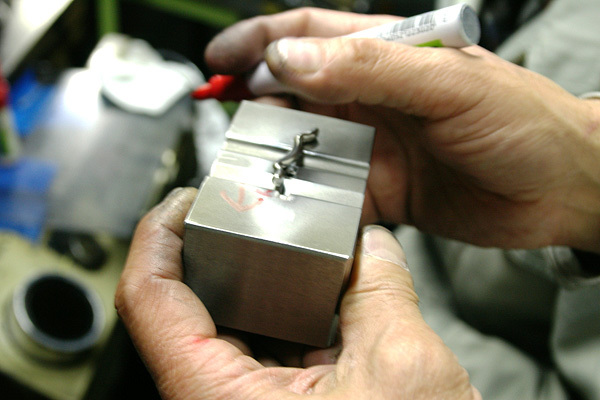 The master mold, with the finish touches done by human hand, comes to be like a handicraft. 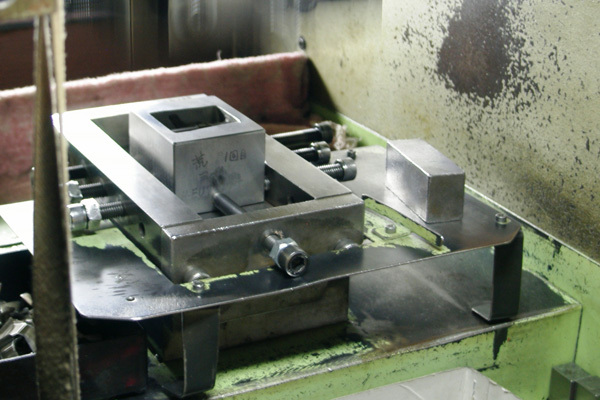 Using the molds, the press work is done with materials like Titanium and Duralumin. 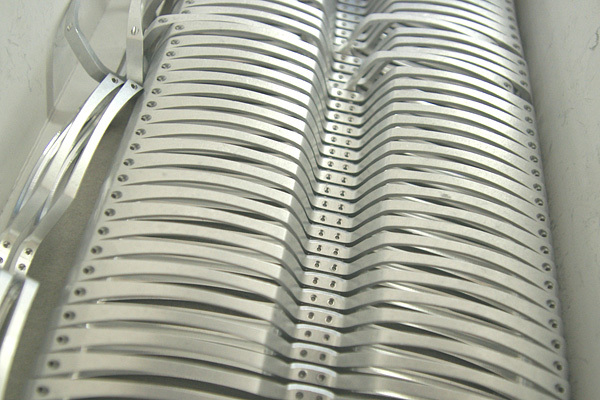 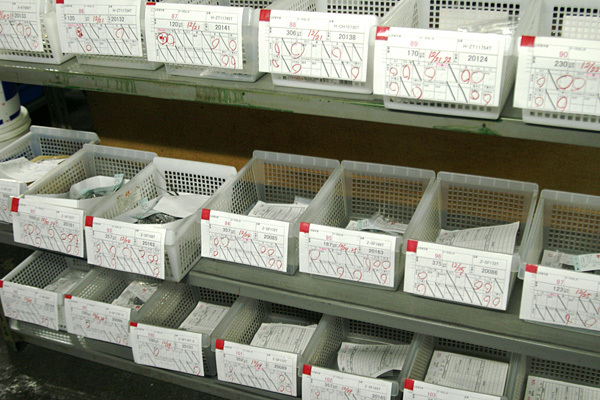 The parts that passed through the pressing process goes through the cutting and sizing process. 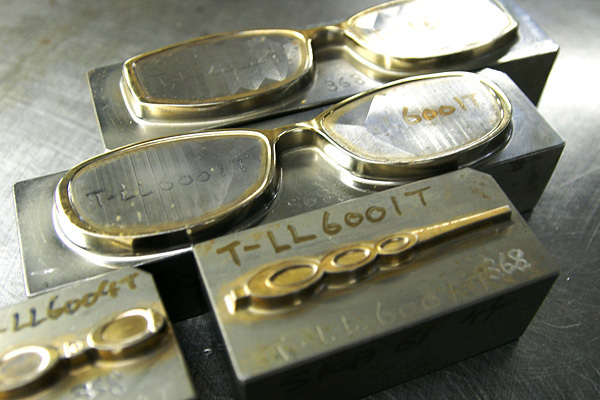 After that the parts are soldered, they gradually come to be a frame. 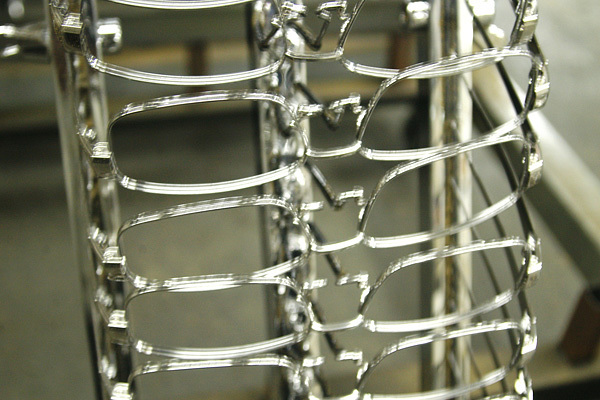 The raw frame will be polished inside a tank filled with scourings and,polished by human work. 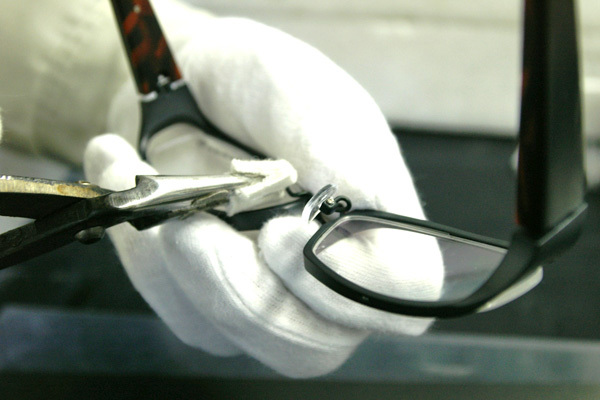 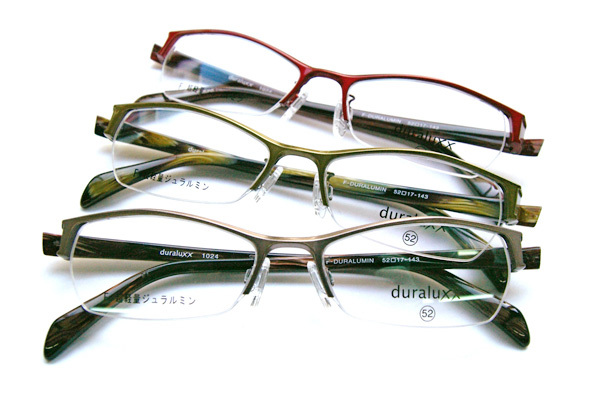 After that the frames are inspected one by one,they go through the plating process. 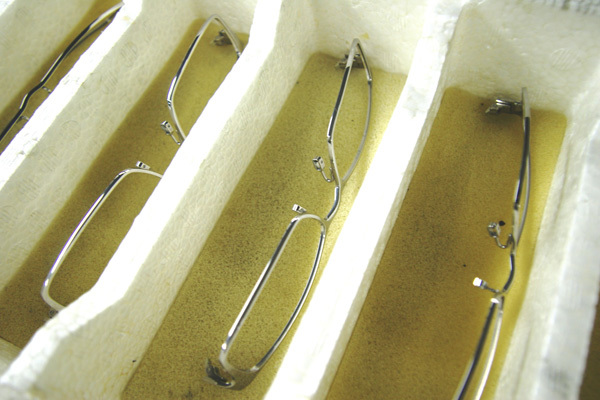 After coming back from the plating process, the lenses, the pads and the temple tips are inserted, the final checks are done and then finally, the frames are packed and shipped.